Salesforce recently announced 1.0 version of Salesforce Lightning Designing System. Since most of us are experimenting in and out with Lightning design system, it would be handy to have CDN for lightning resources. Din't have any success on searching for a reliable CDN hosting lighting, I found request to add lighting design in popular CDNJS is still unhandled, so I am working with CDNJS to get this approved earliest. Meantime, this gave birth to CDN home on self hosted repository for lighting that server library as CDN via Github. 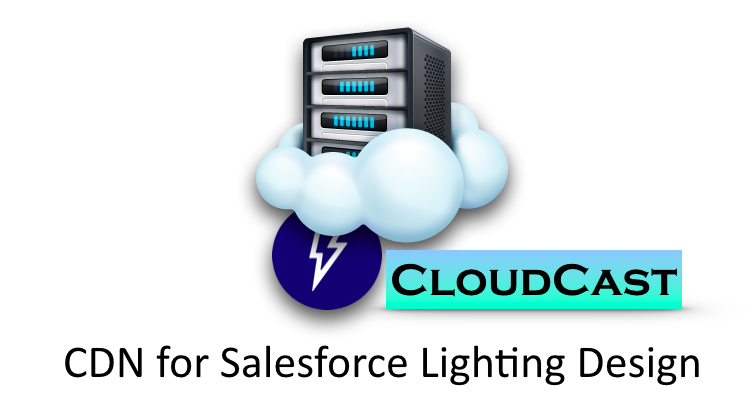 CloudCast is the open source project hosting lighting resource and using RawGit (see how in my previous post here) I plugged in lightning resource ready to use as CDN. Rawgit back supported by MAXCDN. For use on production websites with any amount of traffic. Files are served via MaxCDN's super fast global CDN. No traffic limits or throttling. It's best to use a specific tag or commit hash in the URL (not a branch). Files are cached permanently after the first request. The catch: this is a free service, so there are no uptime or support guarantees. Feel free simply import it on your visualforce pages or html pages.